Welcome to the Quality Hotel Bathurst. Perfectly located at the junction of the highways to Sydney, Orange and Cowra, the Hotel is also extremely close to Bathurst's CBD and the second closest to Mount Panorama. The hotel offers 50 newly refurbished rooms and suites, including all bathrooms and with most rooms having a new plush top king bed as standard. All of our rooms are non-smoking. Every one of our rooms offers complimentary high-speed wireless internet capability - the only in Bathurst to provide this service throughout. Additionally, every room receives 16 complimentary Foxtel channels, being Fox Sports 1, 2 & 3, Comedy, Premiere Movies, Action Movies, Comedy Movies, Thriller Movies, Disney Movies, TV Hits, National Geographic, Animal Planet, Discovery, Lifestyle, Sky News and Fox 8. All of our work desks have conveniently placed double GPO's with dual USB charging outlets. Further, every single guest of Quality Hotel Bathurst is an automatic member of Bathurst's finest fitness centre, Dedicated to Fitness, for the duration of their stay. Your membership pass is available from Reception. Our One Bedroom Suite, all Executive King Spa Suites and all Executive King Suites, on top of being completely refurbished, have their own leather recliner (the first hotel anywhere to provide these), perfect for relaxing and watching TV at the end of the day, as well as massive sofas/lounges, De Longhi Nespresso Machines and state of the art Wi-Fi clock radios that allow Blue Tooth Streaming and hands free telephone calls. All of our Deluxe Twin Rooms have also been completely renovated with new King Single Beds with Plush Tops and brand new bathrooms. These rooms are perfect for those travelling together who are required to share a room. These also work perfectly for families as each Deluxe Twin Room interconnects with a fully refurbished Deluxe Queen Room which has a magnificent Queen Plush Top Bed and all new bathroom. Our beautiful restaurant, Celsius Bar and Grill, features the most panoramic views of Bathurst, complimented by our wonderful seasonal menus. Our bar has a new lounge, complete with massive leather couches, a 65" inch LCD TV and Foxtel for your enjoyment. Meals can also be enjoyed in this magnificent lounge area. All Room Rates on this website include Continental and Hot buffet Breakfast for 2 people. Our Breakfast is fresh and extensive and includes a hot pancake maker with a wide variety of condiments and a fully automated self service Espresso Machine provides cappuccinos, lattes, flat whites, short and long blacks, hot chocolate, etc all at the push of a button. All breakfasts provided as part of these packages are to be taken in Celsius Bar and Grill. The Quality Hotel Bathurst is the only property in Bathurst with a heated indoor swimming pool, allowing every guest to enjoy year-round use regardless of the weather. We have also completed a refurbishment of our entire indoor pool area. On the upper deck, we have installed a new therapeutic ozone filtered 32 jet spa with two reclining benches and three seats as well as a new sauna with a built-in CD/radio player - making us again the only hotel in Bathurst to offer a sauna. This has all been complimented by completely re-tiling this area in a beautiful stone finish. Every guest at our hotel receives, completely complimentary, full membership to Bathurst's premier gymnasium facility, “Dedicated to Fitness” (D2F), which is only a one minute drive from your room. You can enjoy all the benefits of membership, including spin and aerobic classes, a massive range of cardio equipment, every piece of weight equipment you could ever want, a 15 metre heated indoor lap pool and a 12 person spa. No other Hotel/Motel in Bathurst provides this level of service, providing you with the very best exercise/fitness facility available, ensuring that you lose nothing in your travels. Like us, D2F’s aim is to provide you with an excellent facility backed up with personal service where any member of the community can feel comfortable exercising. Their friendly staff and members make for a great atmosphere and a fun place to be. As part of your membership D2F offers a crèche at no extra cost. Bookings are required, as they have limited spaces available at peak times, so please book ahead. Simply see our receptionist to obtain your membership card as this must be scanned on entry to the Gym. Dedicated to Fitness is open 7 days per week and their operating hours are displayed at our reception desk. To view their complete class timetable please click on the following link – www.dedicatedtofitness.com.au. If you are a sporting group, feel free to contact D2F directly and they will provide any assistance they can to support your endeavours, including recovery and rehabilitation. We have also installed a new state of the art back to base CCTV and alarm system providing you with an extra sense of comfort and we believe the most protected hotel in the region. We believe we offer the perfect combination of quality and value for money. More importantly, we believe we offer the highest levels of personalised service. 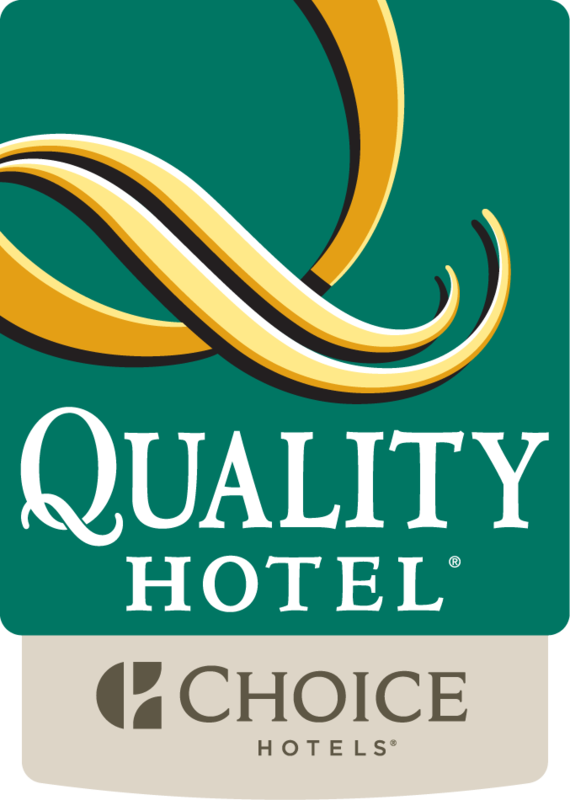 We look forward to welcoming you to Quality Hotel Bathurst and exceeding all of your expectations.